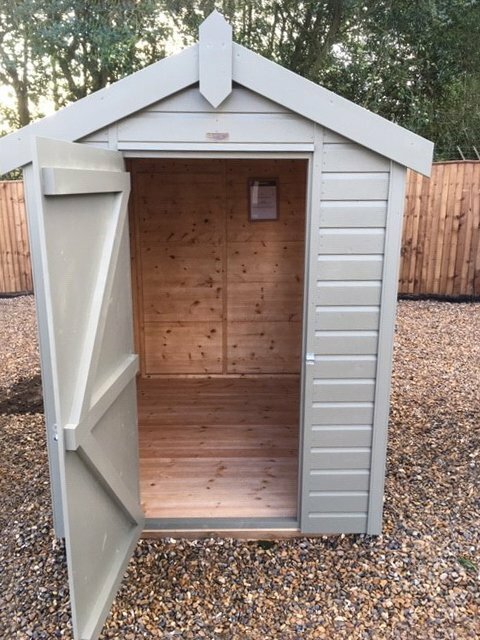 This convenient garden storage shed is from our range of attractive FSC® certified Scandinavian Redwood timber buildings and makes for the ideal high-quality store cupboard for all of your gardening necessities. 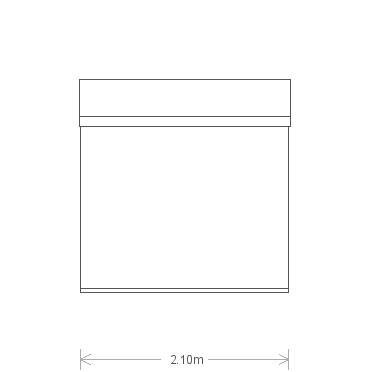 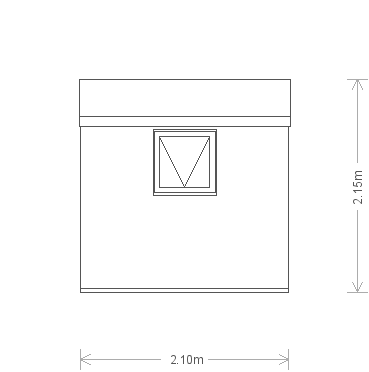 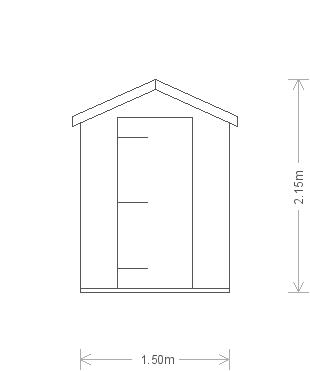 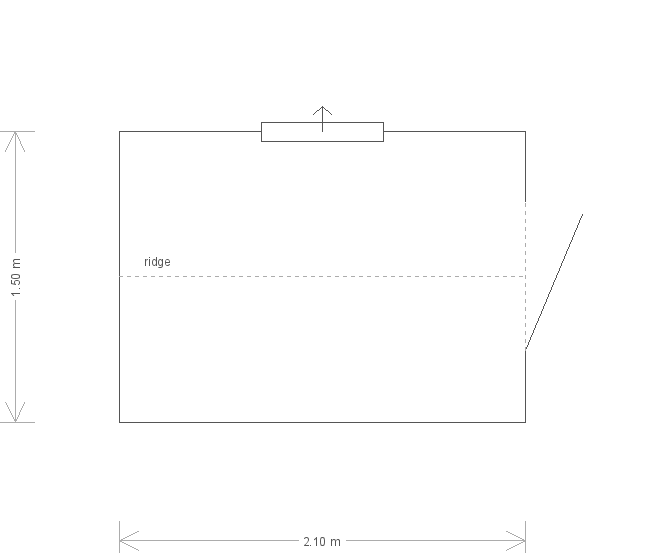 The shed measures 1.5 x 2.1m and has an apex roof covered with our heavy-duty, heat-bonded felt for maximum durability. 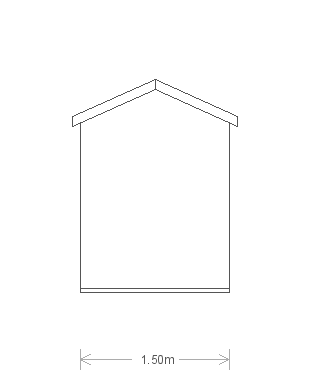 There is a single access door in the gable and a single opening window in the length of the shed for ventilation and natural light. 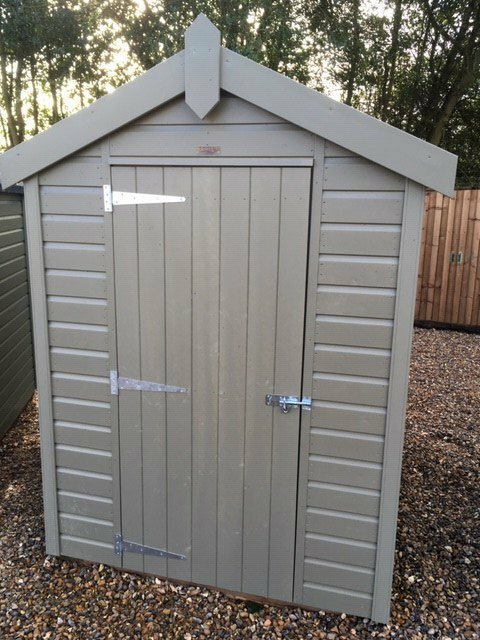 The exterior shiplap cladding is coated with our external paint shade of Stone, which is one of four finish options for our Classic Sheds.